Seven acres of land was purchased by Hercules Pipe Co. from West Anniston Land and Improvement Co. This parcel, along with additional adjacent acreage, would eventually become Union Foundry Company. Tyler Iron & Foundry opens its doors in Tyler, TX, and in time becomes known as Tyler Pipe. Union Foundry Company is acquired by McWane, Inc. of Birmingham, AL. 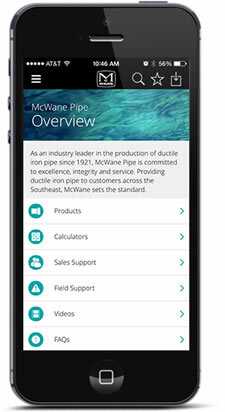 McWane, Inc. acquires Tyler Pipe and merges it with Union Foundry Company. Tyler Union recognizes the industry need for quicker shipping times to the Western United States and opens a distribution center in Corona, CA. McWane builds a fitting foundry in China (Xian Xian) to compete against importers of fittings. This foundry is known as Tyler Xian Xian, or TXX. Tyler Union is formally created to combine Tyler Pipe and Union Foundry into one name in an effort to aid customers and end users. Tyler Union begins servicing its Florida customers from an Orlando warehouse. Tyler Union is placed on the same computer system to allow service to any customer from any stocking location. Tyler Union inventory is placed at Kennedy Valve in Elmira, NY to service customers in the Northeast quicker. Tyler Union opens a distribution center in Portland, OR to service the needs of the Northwest. Tyler Union opens a distribution center in Chicago to better serve customers in the Midwest. Tyler Union opens a distribution center in Dallas to better serve customers in the South and Southwest.